All results are carefully assessed by academic staff before release. 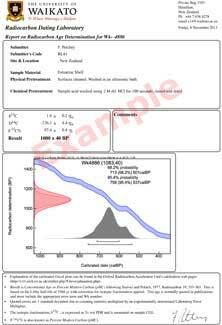 We routinely present the client with an Age Report sheet that includes the calibrated age range for your sample. These are emailed as Acrobat Reader PDF documents. Still not sure? Contact us and we will go over the results with you.